Had a super event at Willinga Park. We were very pleased with Spider Bite. Willinga Park is a very beautiful place to compete. 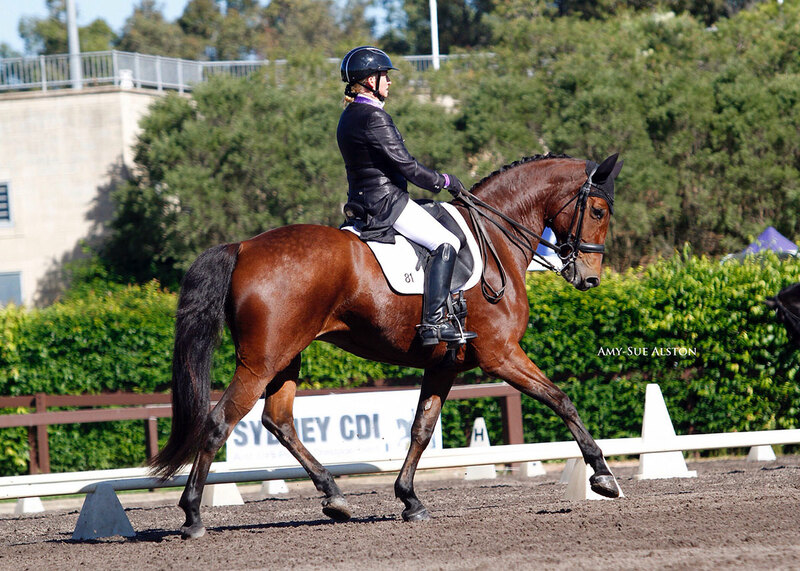 Looking forward to Sydney CDI and stepping up to the Medium Tour. This entry was posted in A Spider Bite (CC), Competition results on 12/04/2019 by Sally. Willinga, an absolutely fantastic venue and event… Well done to Mr Snow and to Brett Parbery and all the WP Team. 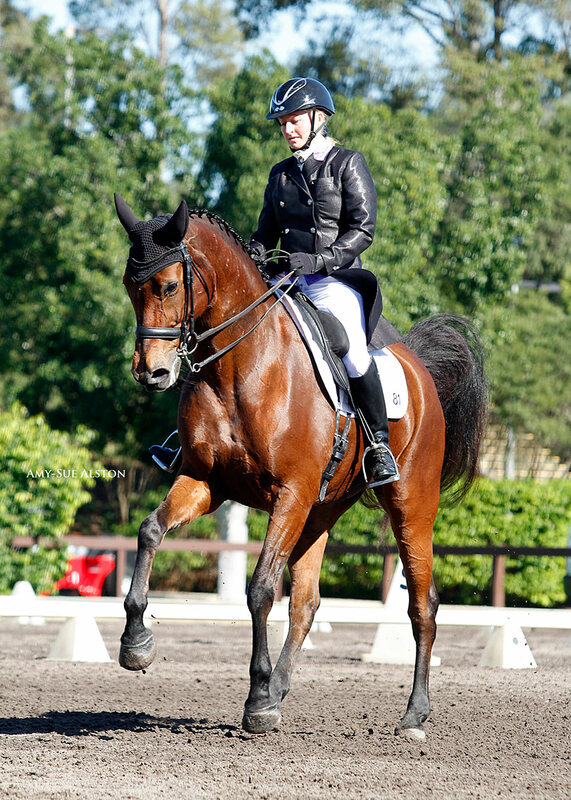 CC achieved 68.70% in the Inter I Freestyle (5th). CC wanting some of our champagne. This entry was posted in Competition results on 27/02/2019 by Sally. CC placed 4th in Inter 1 and 5th in the freestyle. Boneo Park is a huge venue and a super place to compete at. We had a lovely time. It was our dog Charlie’s last event with us, as he passed away with cancer in January 2018. But all four of us had a fun time. Rest In Peace Charlie. We love you forever. 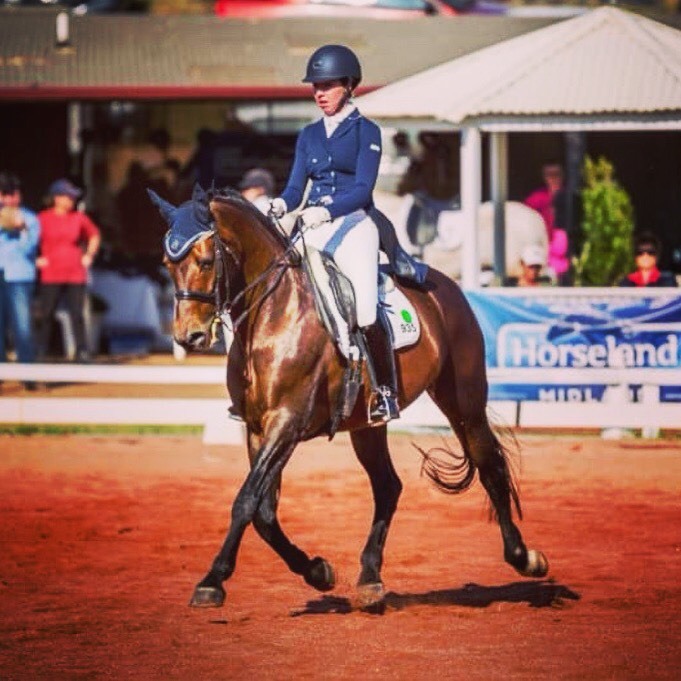 Basil and Chloe Moon competing in WA in October 2018 at FEI level. This entry was posted in A'Seduction (Basil) on 12/11/2018 by Sally. 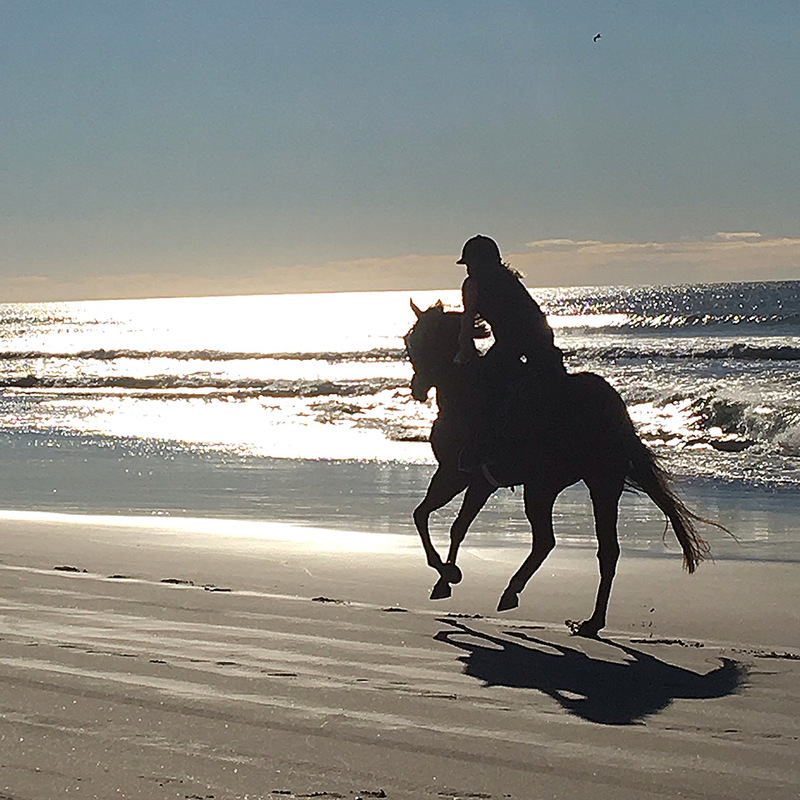 Here’s a beach therapy session for our racehorse Chai. 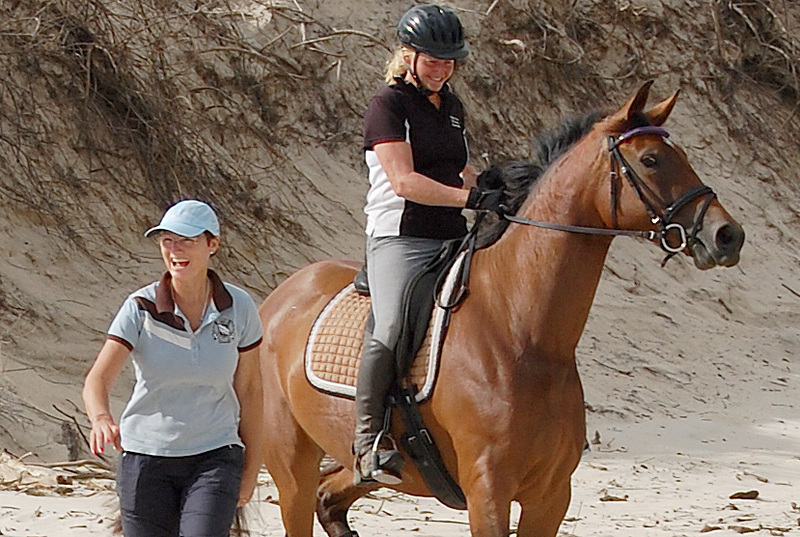 He is with our boy Snappy, having his first ever ride on the beach. Chai is having his first race start on Monday. 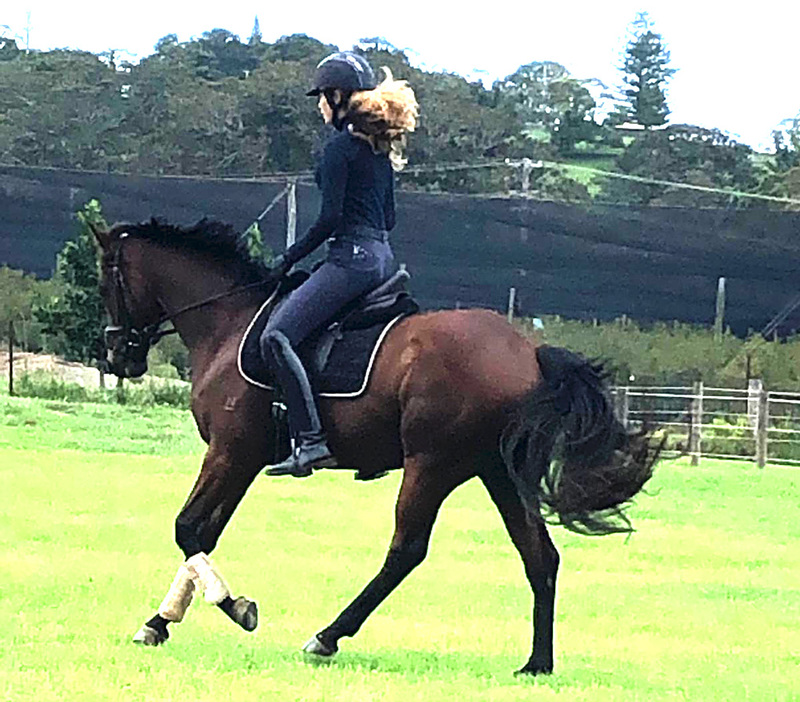 This entry was posted in Beach training, Pete's racehorses on 05/11/2018 by Sally. 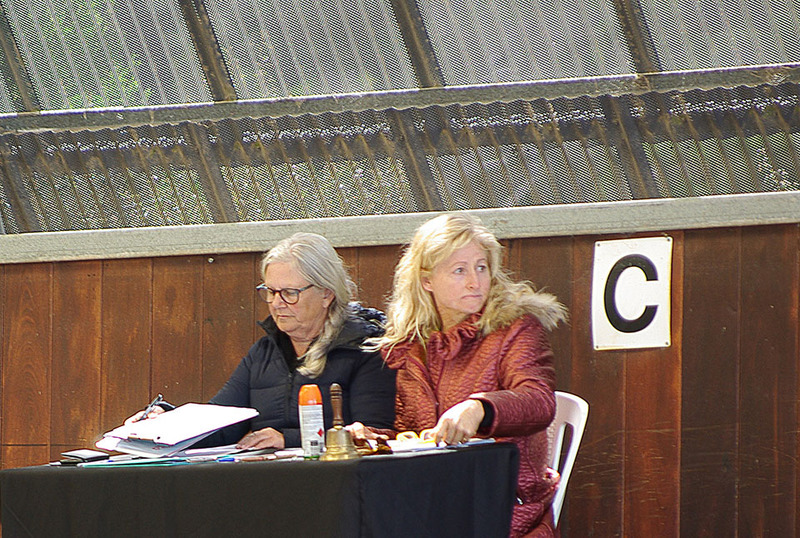 I have enjoyed my four days judging as A-level judge at the 2018 Australian Dressage Championships at Boneo Park two weeks ago, 18-21 October. The best part of judging at the Nationals was being part of a team of great people. My fellow judges, too many to name, made me feel so honoured to be involved with them. In all our breaks and even at dinner, we mostly talked Dressage and discussed the days judging. I even was encouraged to further my sights and travel to UK next year to see and learn more at a clinic. The love for this sport really shines through in all these amazing people. 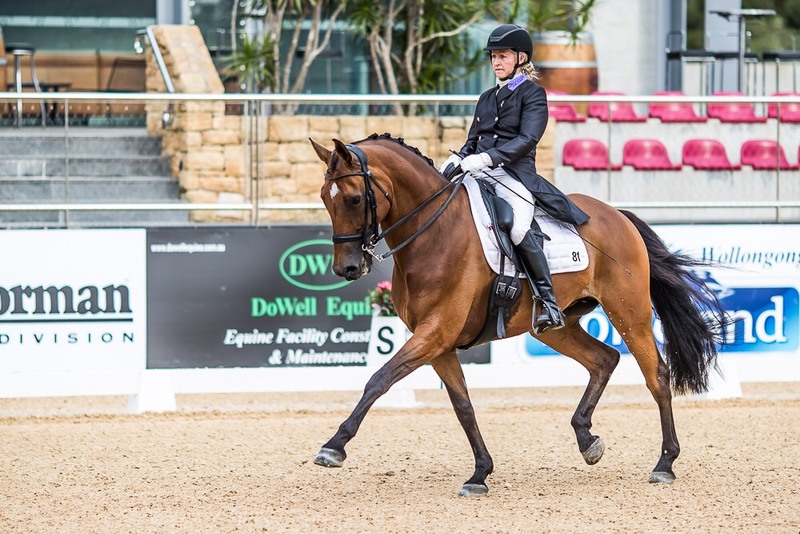 On the third day of the event at the presentations, one of our incredible ambassadors, Australia’s Olympic Judge Mary Seefried, announced her retirement from international level. 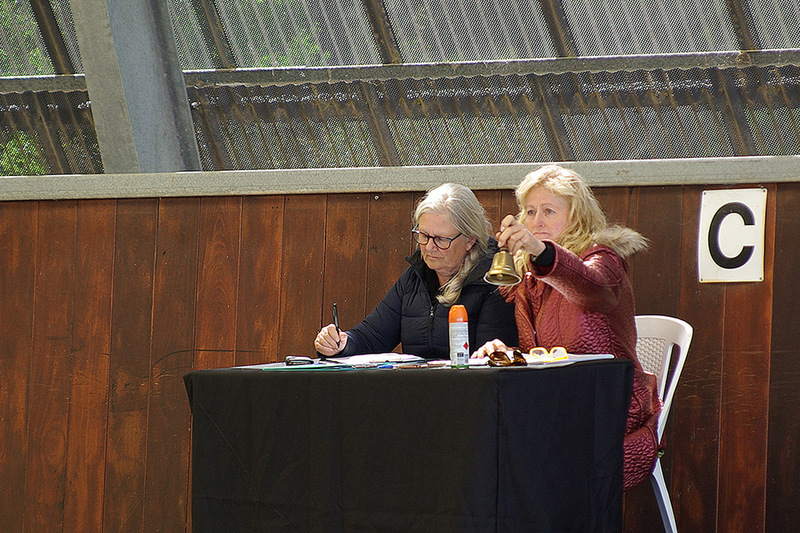 I had the pleasure of judging alongside Mary at this event. I also competed for many years under her detailed eye and, always reading her comments, I learnt a lot about what areas to improve. I can’t wait to be judging with Mary again. 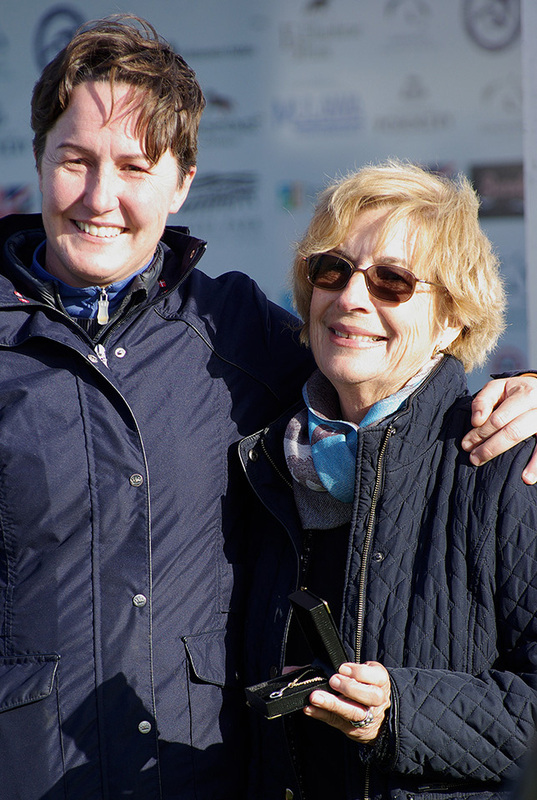 Mary Seefried receiving an award for her services to Dressage, presented by Denise Rogan at the 2018 Dressage Championships at Boneo Park. 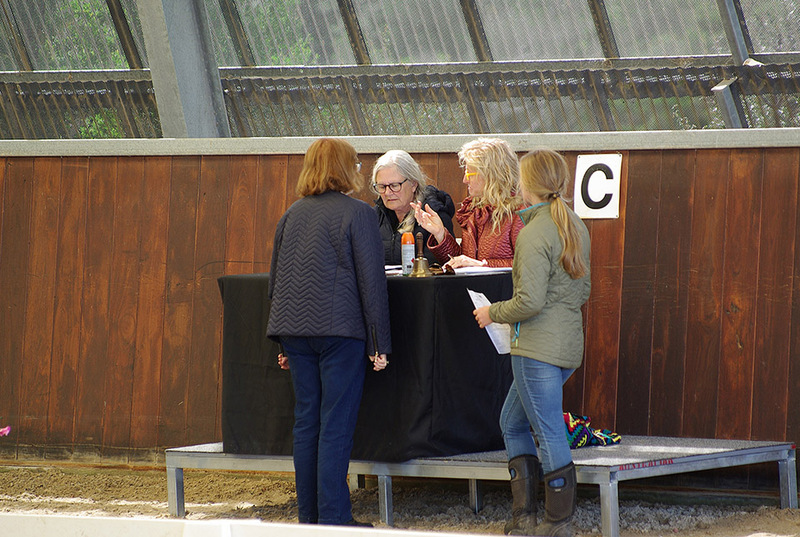 Mary is retiring from international level judging as an FEI 5-star Judge. 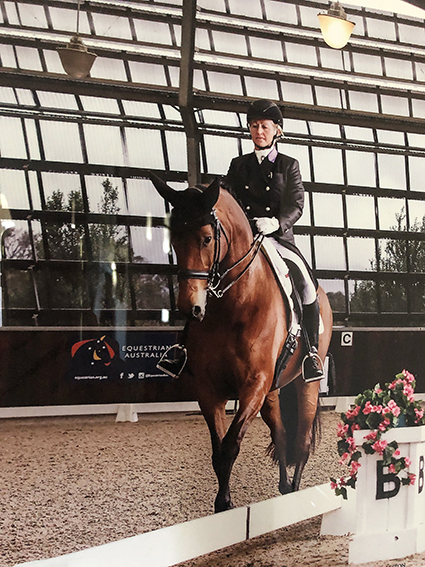 She will continue to judge at national dressage competitions. This entry was posted in Sally's other activities on 29/10/2018 by Sally. Not sure how long it will be online for, but here am I being interviewed by Glenda from Horse Chats. This was previously published in 2017, and re-published by Popular Demand. 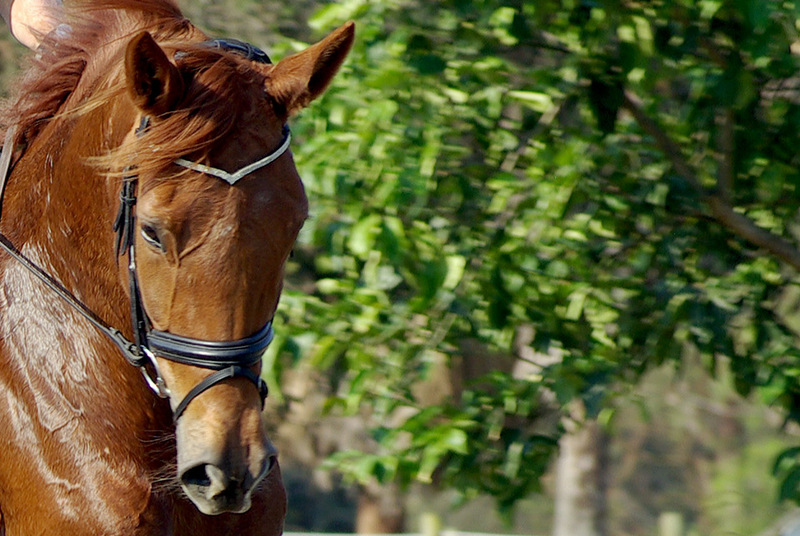 00:50 – Horses should be happy in their lifestyle. They should be sound and happy in their brain and body so that they are happy and willing to work with you. This entry was posted in Sally's other activities on 15/08/2018 by Sally. 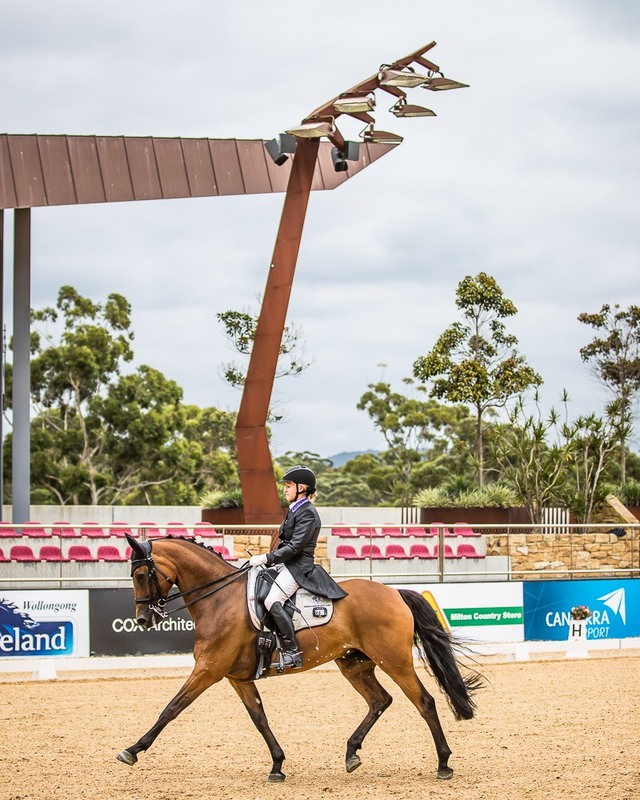 We were just thrilled with CC at Sydney CDI – just amazing considering our lead up training to this show!!! I have been mostly working in a paddock on a slope at our new home. Not the best preparation, but CC just put it together. I had some wonderful help from Sue Hearn at the show. She really helped CC put on her dancing shoes!!!!!! 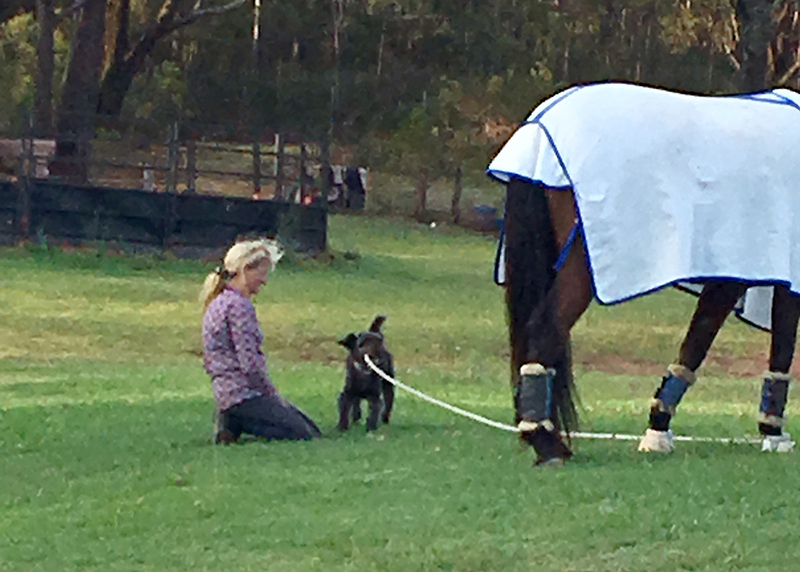 The old team is back together to prepare on competition day – Peter and Sally. Except Charlie had to come with us… But after a day or so he just fit right in with the top dogs… He had a gangster jacket on and a diamond studded collar. This entry was posted in A Spider Bite (CC), Competition results on 09/05/2017 by Sally. 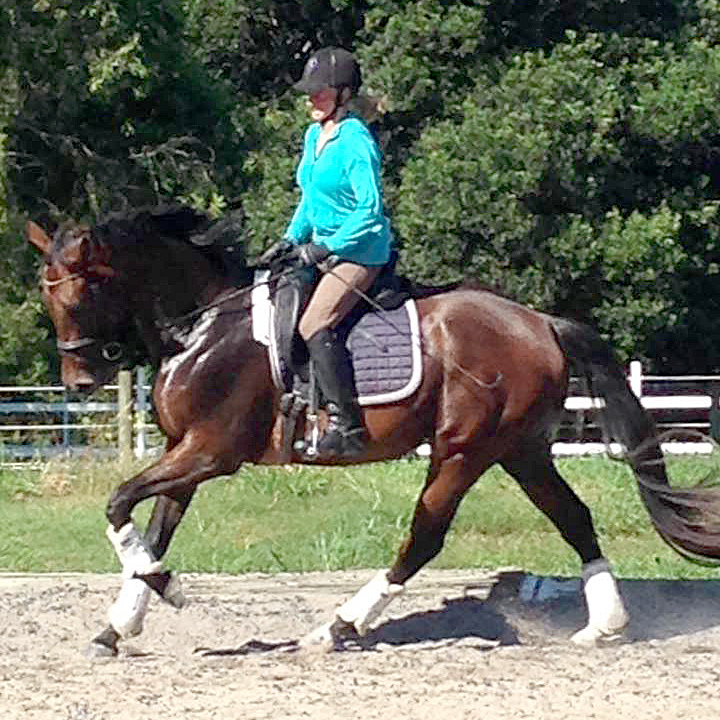 Here is Kerrie and Fred (Winni) in their lesson. Kerrie says she just adores her. I am so happy Winni, one of our A’Seduction Babies, has a lovely life near Canberra. This entry was posted in ASpannerintheworks (Winni) (Fred) on 24/11/2016 by Sally. Charlie trying to help hand-pick CC. 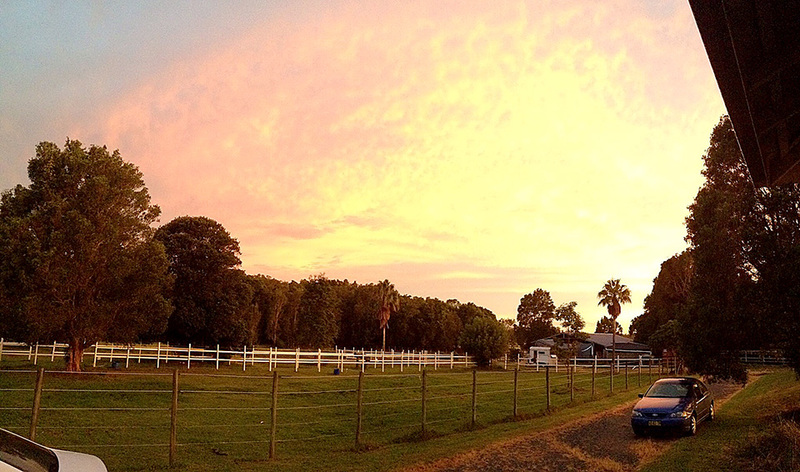 Sally and Peter are temporarily staying in Toowoomba, Queensland, till January. The whole SDS team is. Charlie, the two cats and the two chooks are all coming to terms with this so-called “SDS Summer Holiday”. 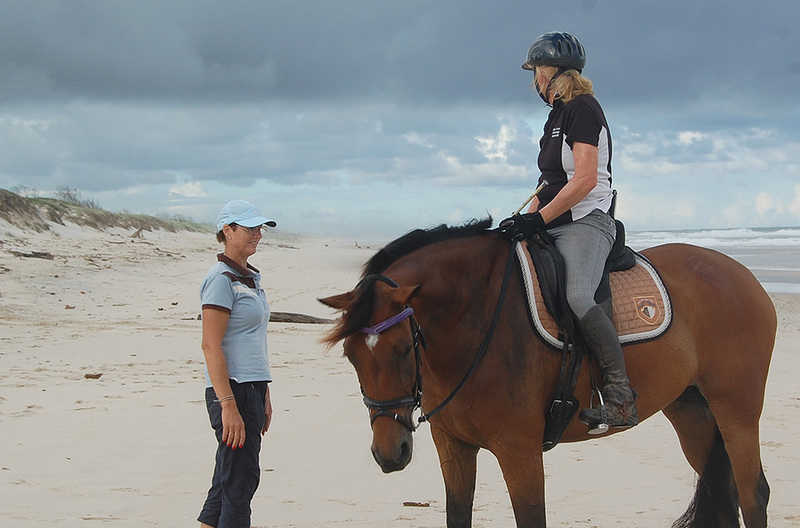 Soon we will re-establish in the Northern Rivers of NSW, riding again on the BEACHES. 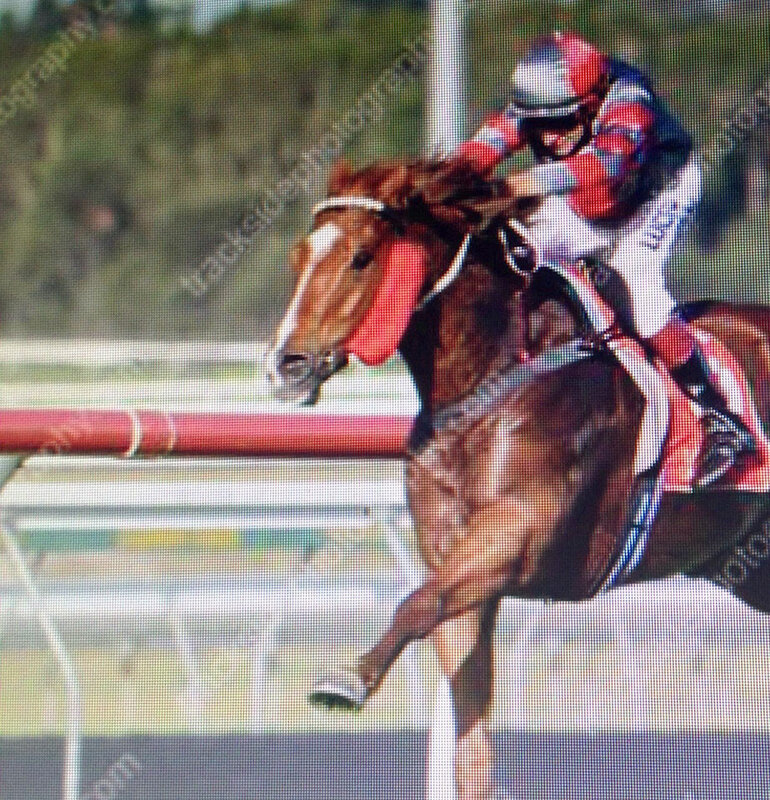 In the meantime, we’ve had some luck with our boy Hefner winning a race at the Sunshine Coast. 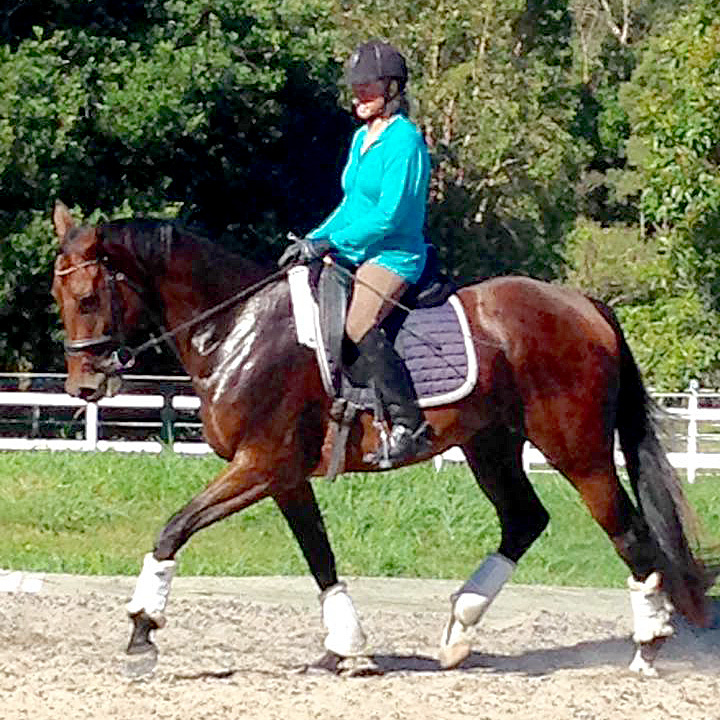 Hefner does a mix of dressage schooling and hill work and then the racetrack workouts too!!! He’s a pretty happy boy. 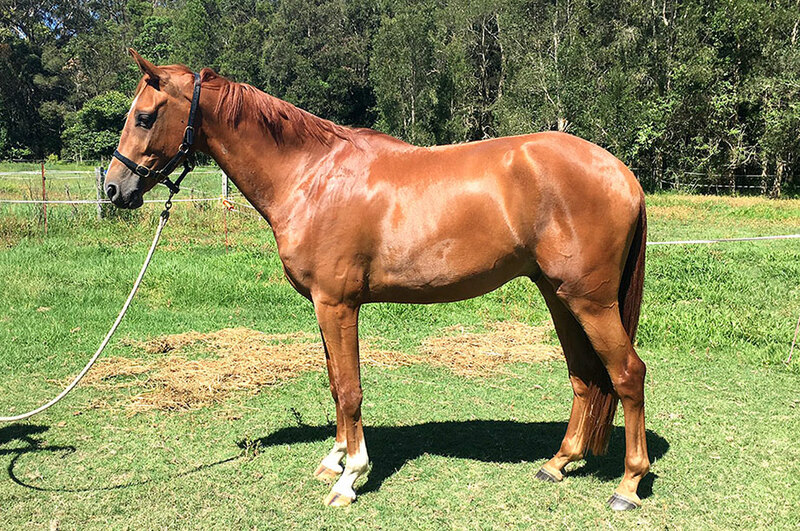 This entry was posted in Pete's racehorses, What's up on 23/11/2016 by Sally. 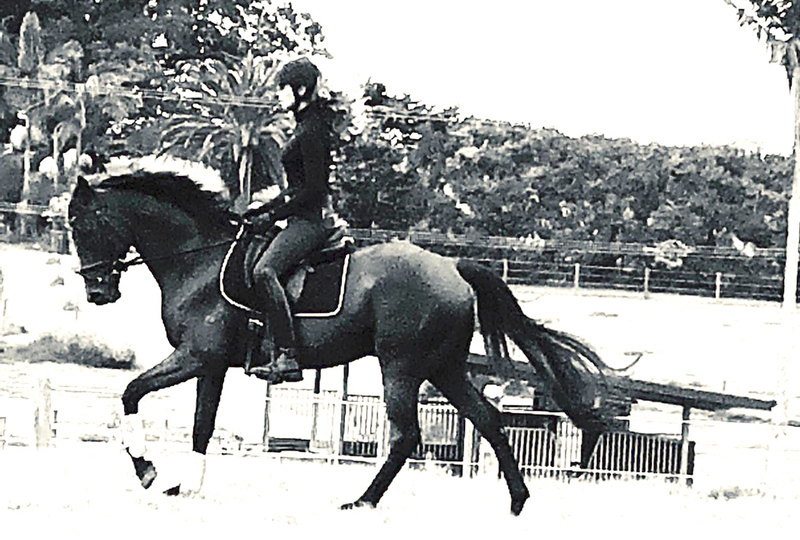 Riding my beautiful mare CC is what keeps me going through these difficult times. 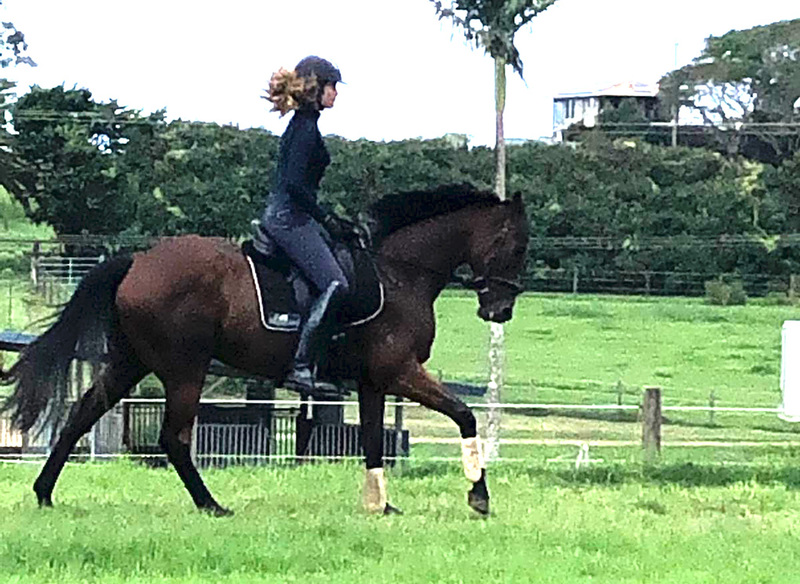 These are our last few weeks here on our Equestrian Centre that we have built up over many years before it is being taken over by the Roads and Maritime Services. All will then be bulldozed soon to make way for a new highway. Our focus now is on this mediation and court process, to have our life’s work Sally’s Dressage Stables valued for what it is: a working Equestrian Centre where we have trained FEI level dressage horses, where we have bred Warmblood horses, where we have trained students and their horses for dressage, and where we have prepared some Thoroughbreds for racing as well as retrained them for their careers after racing. We will be moving this month to temporary premises before we can start anew and rebuild in 2017. This entry was posted in A Spider Bite (CC), What's up on 15/09/2016 by Sally. 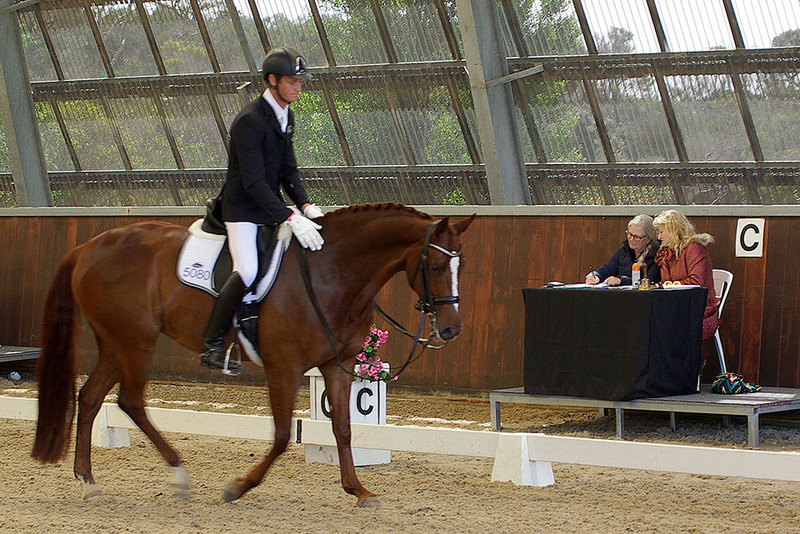 Wish I had some pics of CC as at the Tweed dressage Championships last Sunday. 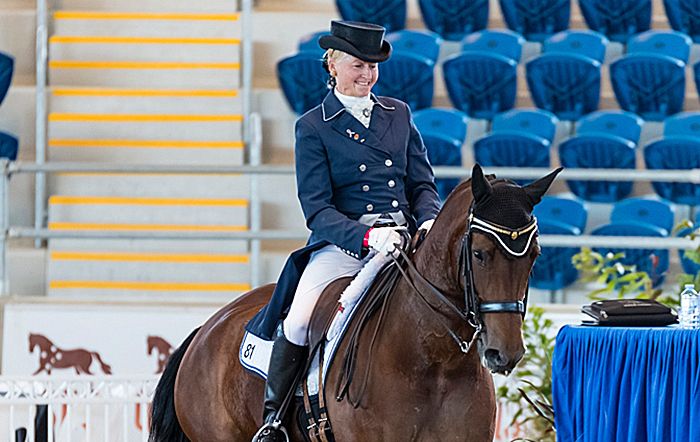 She won the Inter 1 with a 67%, that is her PB. I was very happy with her. And Penny did a 68% in the medium for a very close second place. 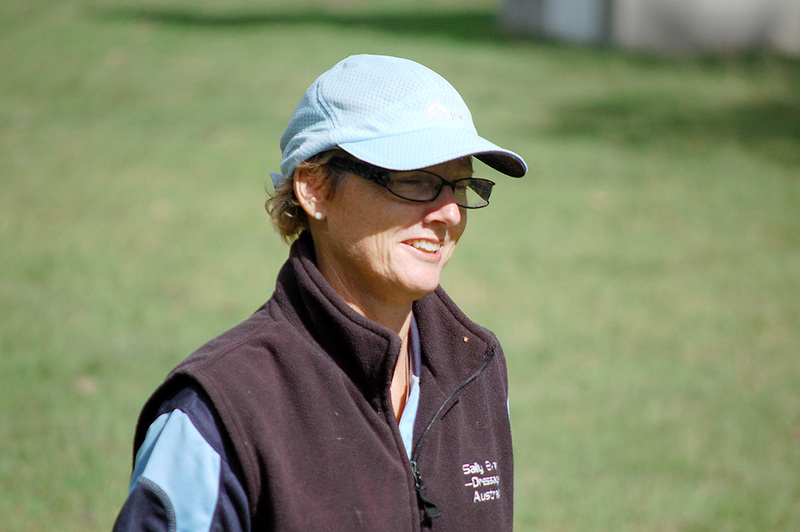 I am coaching this weekend at Nana Glen Eventing Clinic. I am taking Peter with me as they have me booked in to a Winery to stay Friday and Saturday night, so I am forcing him to have a break!!! Poppy is coming here to look after SDS. She is bringing her young horse Spida. She came last weekend for a mini boot camp with him. He is a lovely boy, she will have a great future with him. This entry was posted in A Spider Bite (CC), Coaching on 27/05/2016 by Sally. This entry was posted in A Snap Decision on 09/04/2016 by Sally. 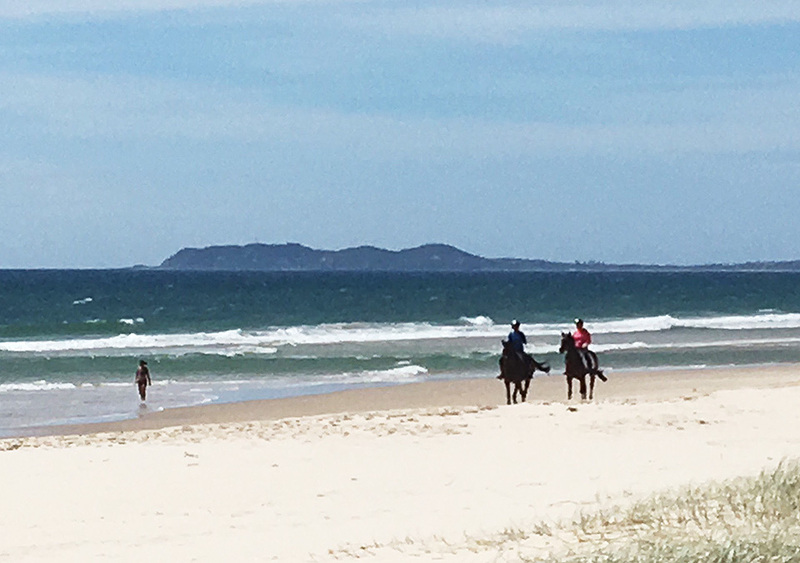 Last Friday, it was the perfect afternoon for the most lovely ride on the beach. In this next amazing pic there is Peter fishing and right in the distance are Patti and Nick riding along the edge of the waves. You see, I said to Peter that whilst our friends were riding, we could have like a ‘Micro Holiday’……… yep, you might be thinking very funny Sal, but it is true and we actually did have a nice little break, just from every day grind. I also took these very hilarious snap shots of our super dog Charlie, and it was just when he was standing right next to me and we were both watching Peter in the ocean fishing, and as I looked down at him, his ears were fluttering out from his face because of the wind, and as the end photo shows, it looks like he is about to Take Off, Flight 810 due for Hawaii!!!!! 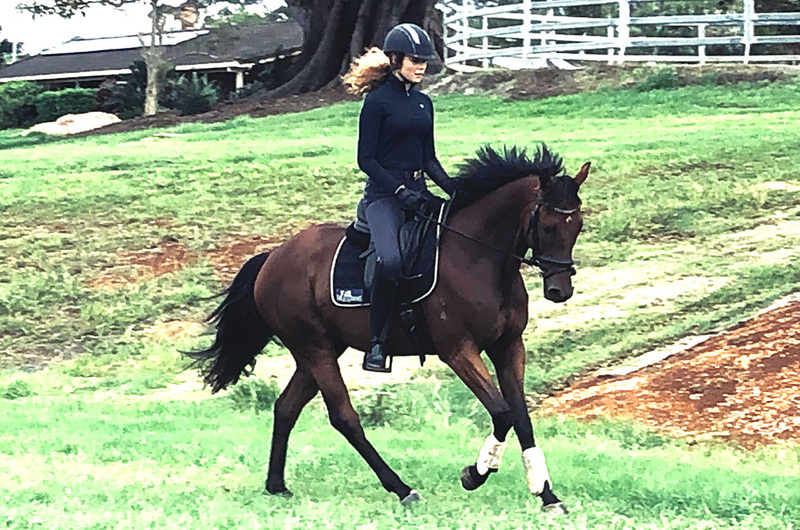 This entry was posted in Family, friends and around the stables on 15/02/2016 by Sally. Here are some pictures of our place taken from our front veranda, what a scene, just a bit of a reminder that we will not be here on this beautiful place for too much longer as the RMS is going to buy our place and we will have to move and set up again somewhere else. 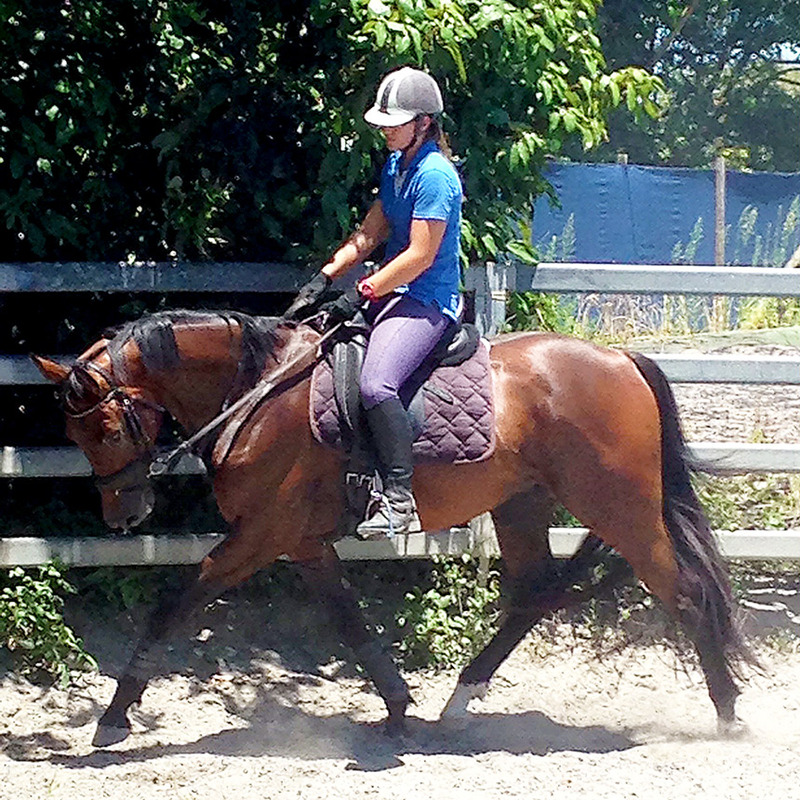 The one of A Snap Decision is with Carissa riding him just the other day. Snap has got his Father’s laid back attitude, and yet is showing so much potential, he will be such a Star!! I will be offering him and A Heaven Sent for sale soon. 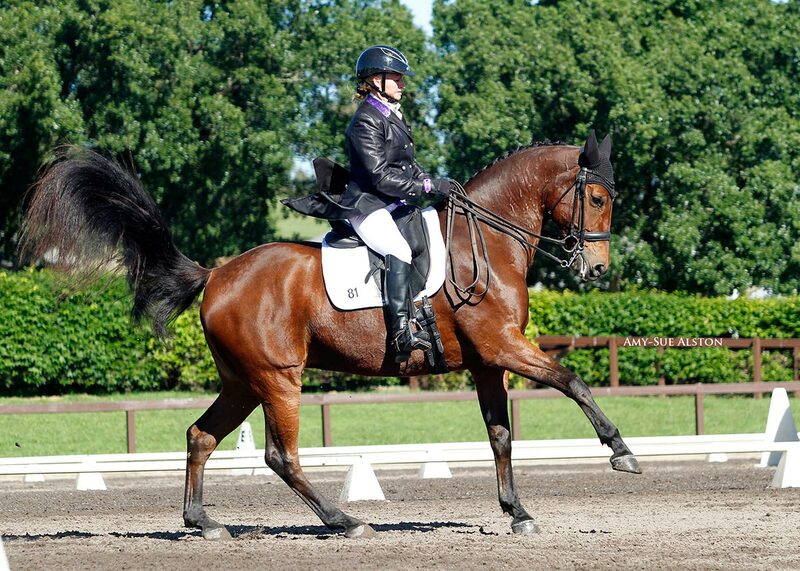 Both are super horses and have fantastic attributes to train and compete through to Grand Prix. Pretty soon I will do some video of both and they will be on the market. This is mainly due to the RMS taking our place for the new highway from Sydney to Brisbane. I think that I might even have to give the Sydney CDI a miss this year due to the many different pressures we are going to endure. Maybe some good will come out of this!! This entry was posted in A Heaven Sent (Penny), A Snap Decision on 15/02/2016 by Sally. 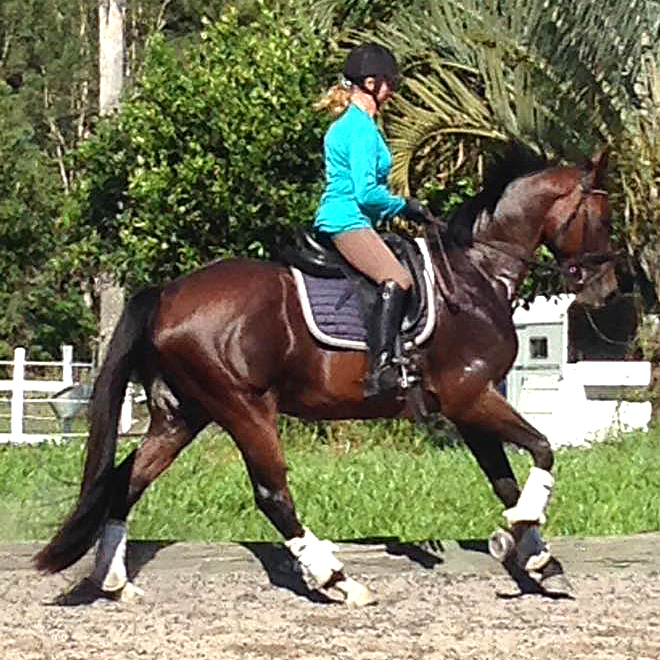 This is our last young boy by our grand Prix stallion A’Seduction. 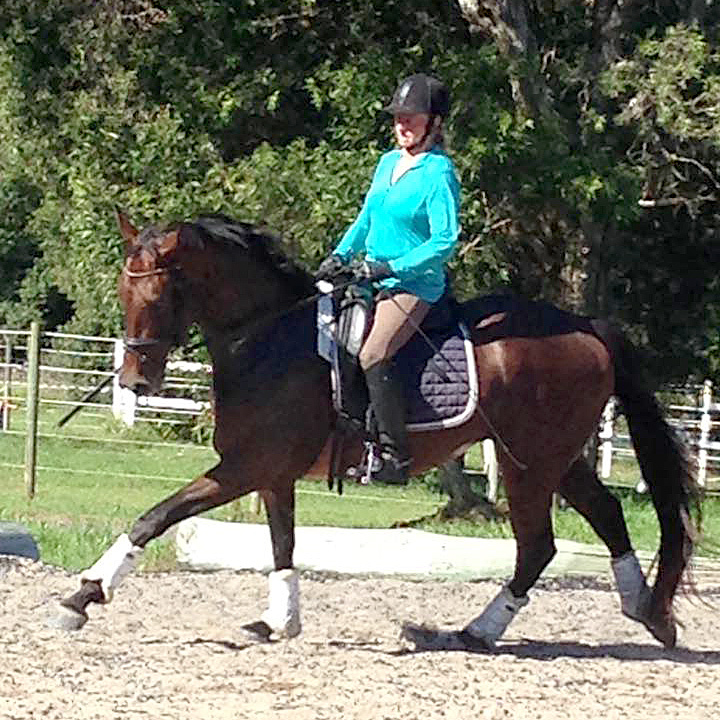 He is out of a Trakehner from the F-line. 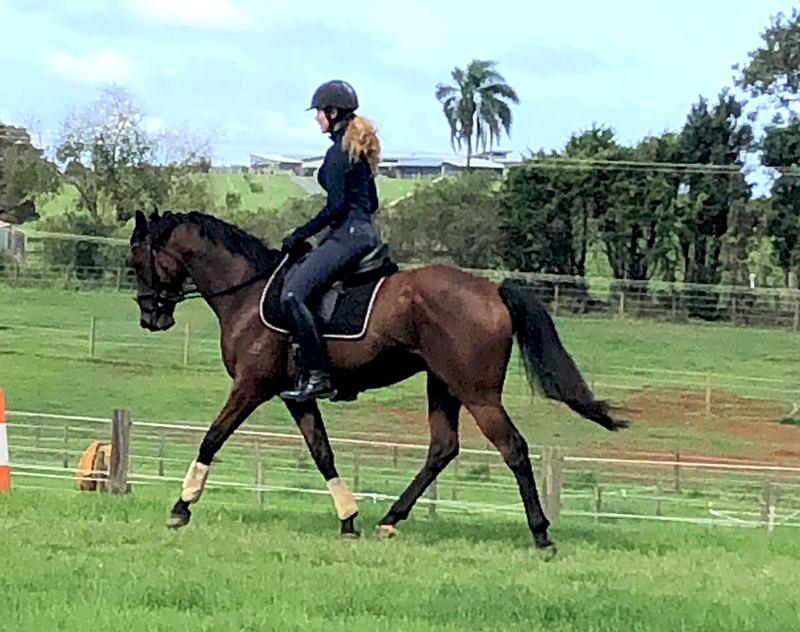 He is rising 3yo and about 15.3 hands now, which will make him a peeerfect height for competition, I think he will make around 16.2. 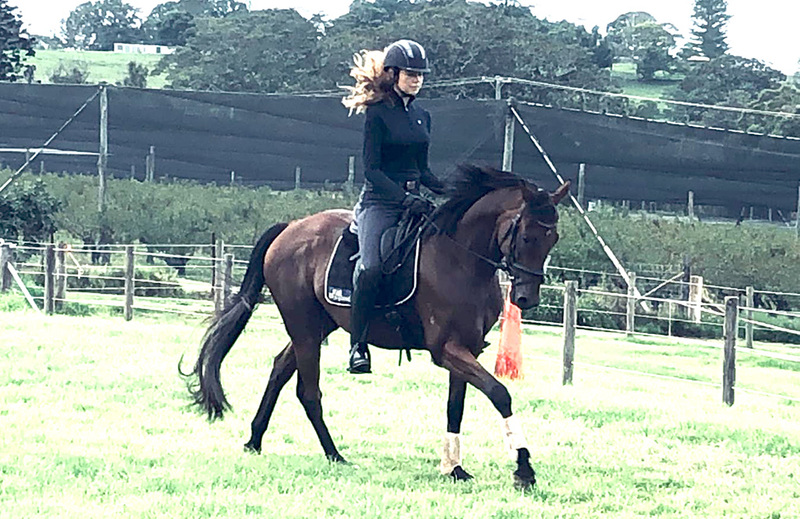 Secret is his name, and he has been under saddle and showed us that he has a very sensible head on his shoulders and therefore training him should be a fun journey. If you think you might be interested in this fellow, please feel free to give me a call on 040207 888 2. 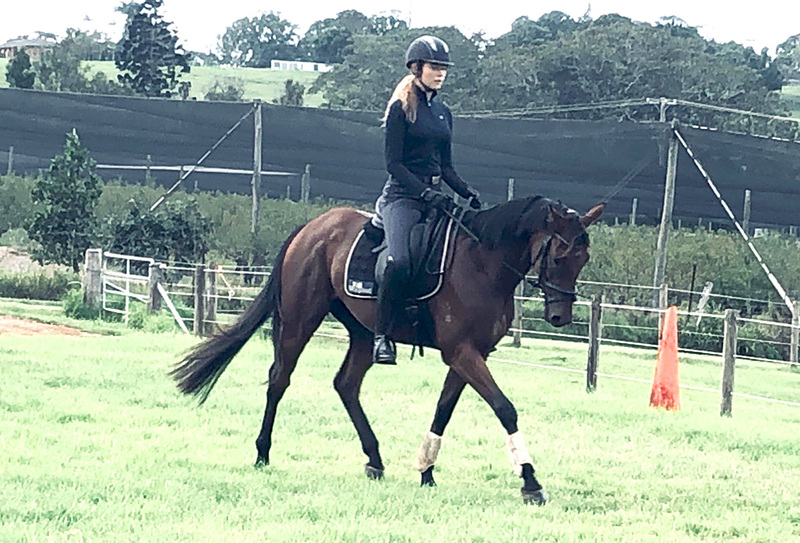 We also are training our racehorse over the summer break. I have been doing a lot of beach riding on him, he really enjoys this. 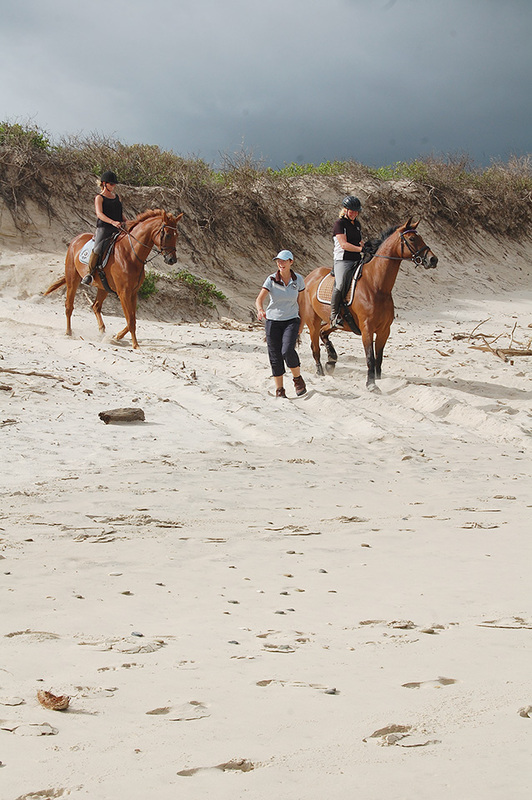 It’s quite funny as the bush track we ride out along has got plenty of entertainment, a kinda like de-sensitising of the racehorse. 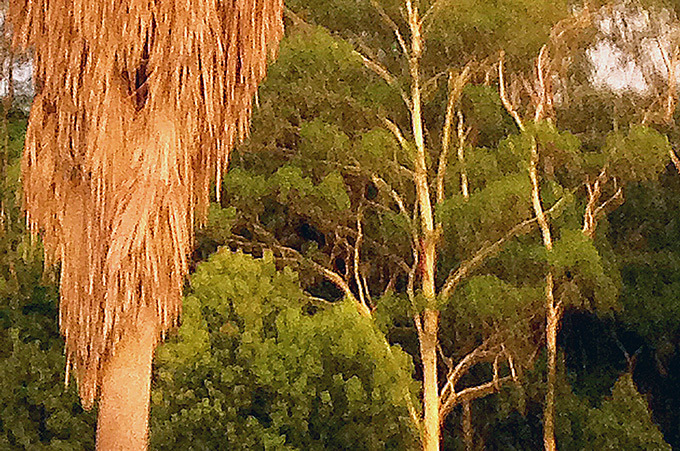 We have seen wallabies, a big grey kangaroo, a huge goanna, snakes of course – it would’nt be an Australian Bush without, and last few weeks we have had black cockatoos flying over us, about 15 of them, and then on the beach we have seen the eagles. Well I guess I get to see them not so much Hef, our racehorse, since he is looking at the sand and surf….. We have even had 2 hornets fly past us, going extremely fast. We are racing this Saturday, fingers crossed!!!!!! 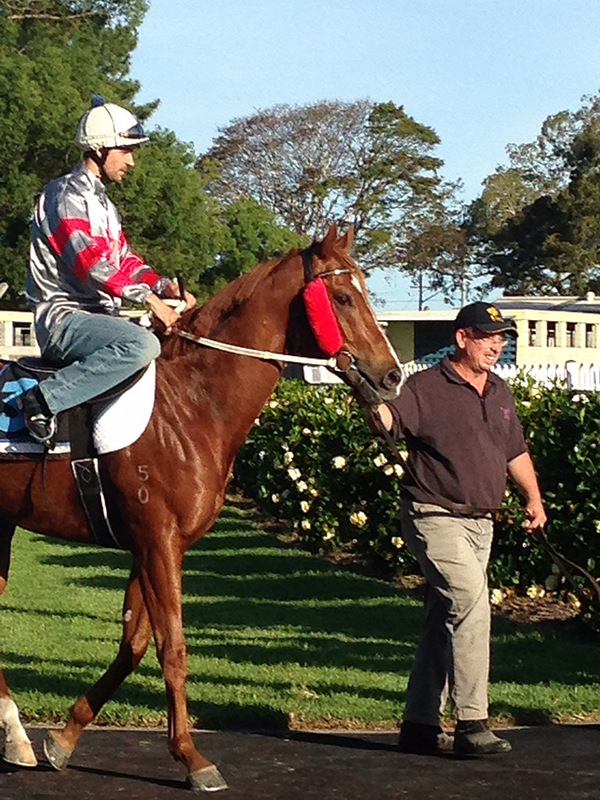 He should be the most trained and quietist race horse heading out onto the track, nothing should scare him!!!! 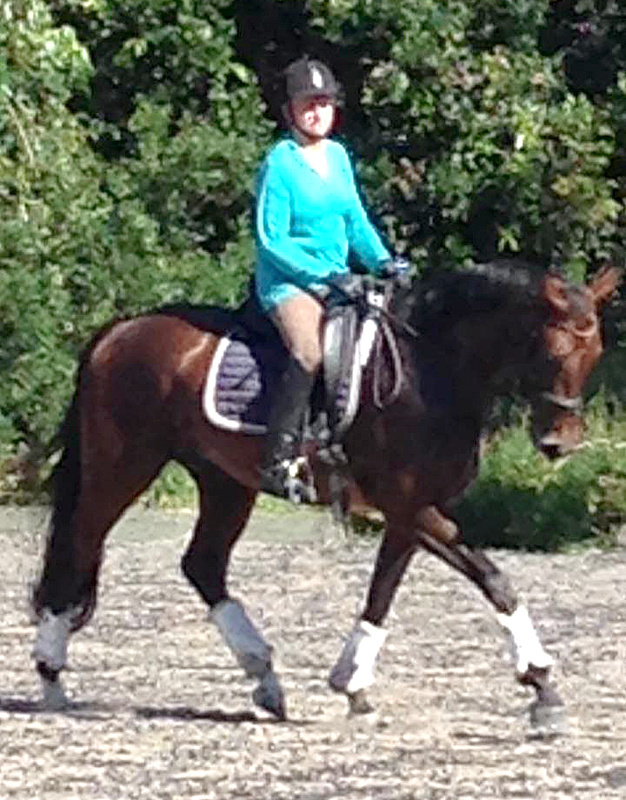 This entry was posted in Pete's racehorses on 08/12/2015 by Sally. 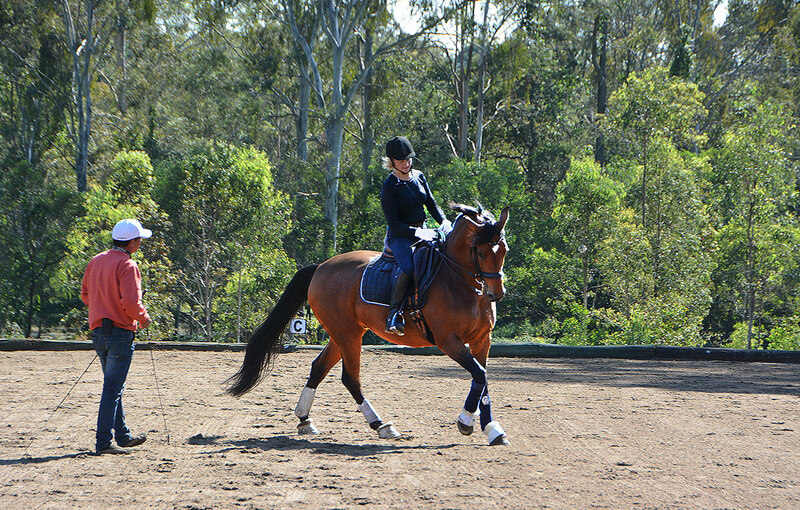 Last weekend we went to the Far North Coast NSW Dressage Championships. 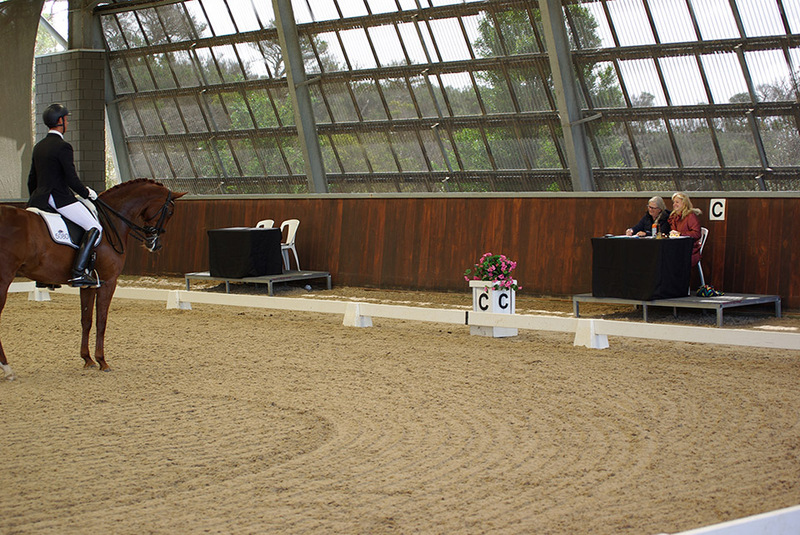 I competed in the Advanced with Penny and did the Small Tour with CC. The girls went really well and Pen came a close second and third and C of course won both her classes. She did do a really good PSG, even scoring a 9!! and she got some supa comments from the judges. 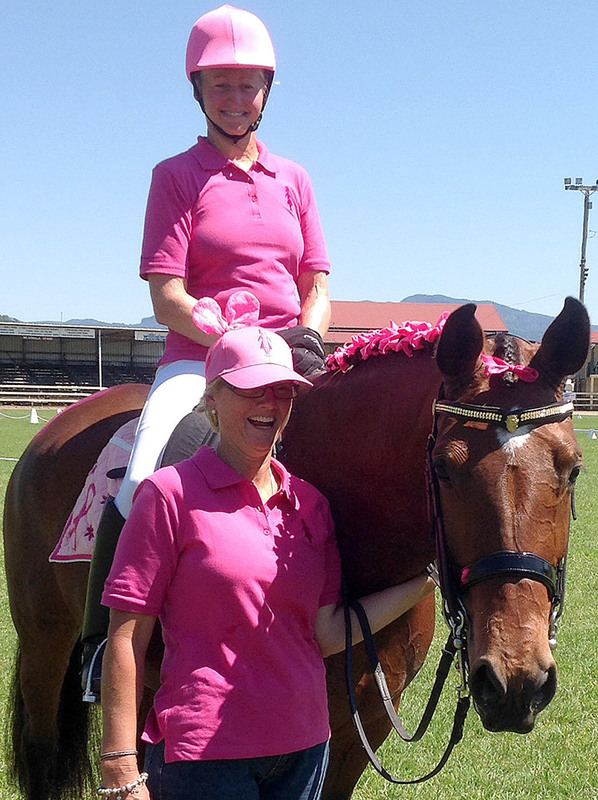 This Sunday we have the TVEG Power of Pink Day, a day to remember Sue, as she always did this event to raise money for breast cancer. So we are taking the 2 girls again and doing the same classes. And the EA has given an excemption so we are allowed to dress up in our pink outfits and compete!!!!!! This will be good fun. This entry was posted in A Heaven Sent (Penny), A Spider Bite (CC), Competition results on 13/10/2015 by Sally. It is with a very deep and heavy dark heart that I have to say a final goodbye to a very dear friend of mine, Sue Macdonald. 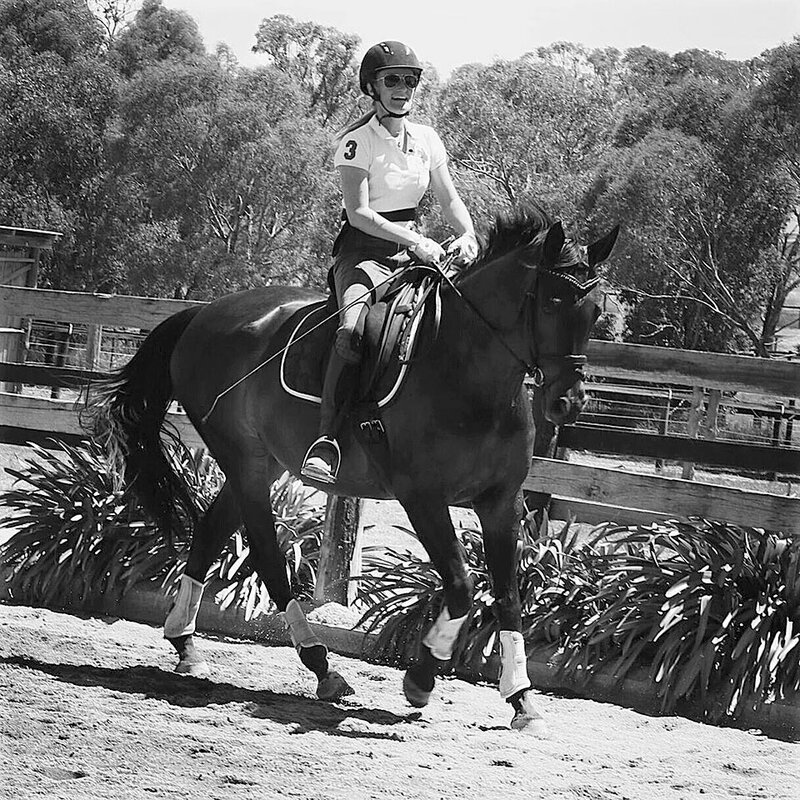 Sue was the co-owner of our beautiful FEI mare CC, who competes under the name of A Spider Bite. Sue absolutely loved CC and came to every competition with me for the last 5 years. In 2012 Sue bought into a half share owning CC with me. 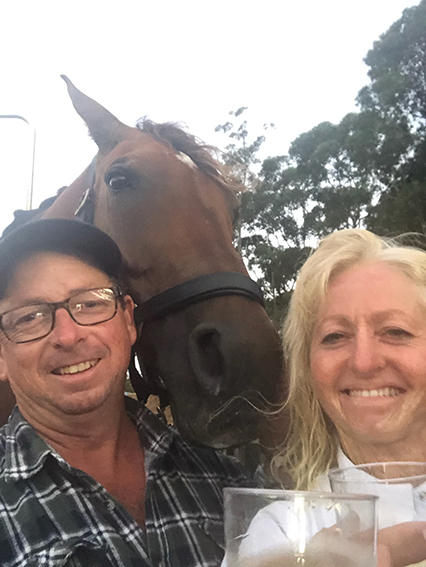 Well, that was just the beginning of a tremendous lovable journey for Sue, CC and me, and it also included all of my team of horses here at SDS. 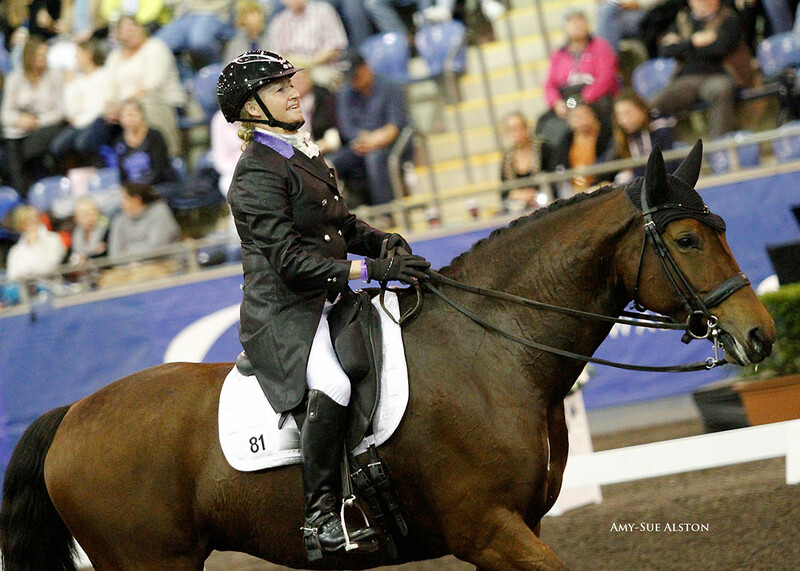 Sue helped me to transport and prepare the horses for all the shows and CC was a major part of this production. I will miss Sue very very much. Sue gave us all the will to be positive and just Go On!!!! with LIFE. This entry was posted in A Spider Bite (CC) on 16/09/2015 by Sally. This is our little Arena we bred, and now she is doing very well just started with the show ring. 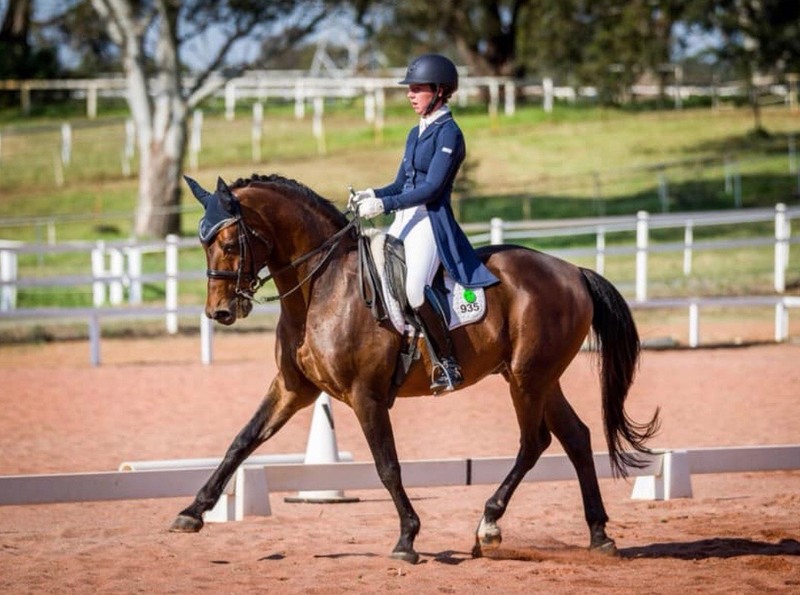 Leannda Scott now owns and trains and competes Ellie. Her show name is ‘Keeping Secrets’. 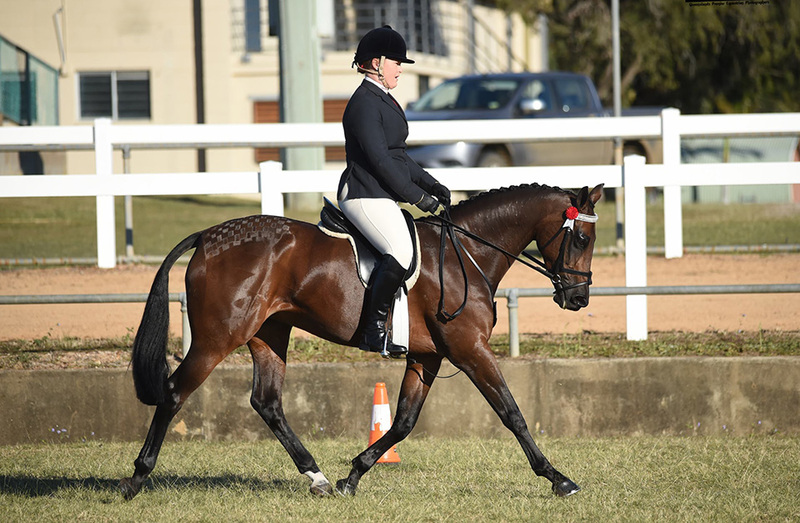 “We took her up to Maryborough Show Horse Council Country Hack Championships on the weekend and she was amazing. She got Champion Newcomer Galloway, Runner Up First Season Galloway, and then got 5th in her open. She is such an amazing little horse. Everyone keeps telling me she looks amazing going and I finally saw that this weekend,” says Leannda. This entry was posted in Arena on 24/08/2015 by Sally.